The first step is to visit GD at the heart of Paris. Here you will find a broad collection of HRD certified diamonds that are meticulously selected by our experts. Go ahead and choose the diamond you want. Of course with such a big diversity it can be a little difficult to know what you really want. Besides people who are buying diamonds for the first time may feel a little challenged to choose the right option. Well, have no worries, we will help you with this process. With years of experience in the diamonds trade will teach you all the details, you will get enough information to choose the diamond you need. As soon as you have selected the ideal diamond then you can proceed and select the mount. The mount is basically the ring on which the diamond will be mounted. The great thing is that you won’t have to go to another store in order to get the mount. GD also has a collection of amazing 18-carat gold rings that would match perfectly with any diamond. The gold rings are especially made for engagements and their design is simply outstanding. There is a good diversity of options here so feel free to take your time. The rule of the thumb is to see which ring aligns perfectly with the diamond you have chosen. As always, in case you feel you need some help selecting a mount, we will thoroughly guide you in this rather complicated process. Once you have selected the diamond and the ring you are one step away from getting the perfect engagement ring. The highly skilled jewelers at Galeries du Diamant will then mount the diamond on the ring. The process often takes a maximum of two hours and the great thing is that you can witness everything in person. GD has a team of artistic, experienced and high end jewelers who are ready to accommodate any customization needs that you have. In no time, your engagement ring will be ready and trust me, it’s always a work of art. This is not only a purchase for all your life. This is an unforgettable experience! Very simple process – as I have highlighted above, GD allows you to get a unique high quality engagement ring in just a few hours. It saves you the hassle of having to go store after store just to get what you need. With just three simple steps, you will be done and dusted. Great diversity – one thing that has distinguished GD from any diamond dealers in Paris is simply the outstanding diversity of HRD certified diamonds. It doesn’t matter what you are looking for, the store will always have something for everyone. And it’s not just the diamonds; the portfolio of amazing 18-carat gold rings will definitely take you away. 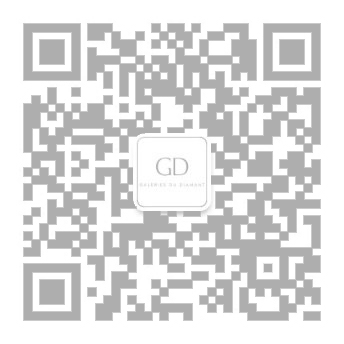 Quality diamonds – GD Paris only sells the best diamonds. Its partnership with HRD Antwerp, we are certain that diamonds available for sale are objectively certified to ensure the customers get the best deals in the market. If you are looking for authenticity and value when it comes to diamonds, this is the store to go for. Remarkable service – from the time you step into Galeries du Diamant store in Paris, the experience will be outstanding. You will have a great chance to interact with the friendly people here who will help you with anything regarding diamond engagement rings. And that is not all; the artistic jewelers who finally mount the diamond on the ring are passionate artists ready to make your engagement ring as unique as your fingerprints. Conveniently located - GD Paris store is conveniently located in the luxury district of Paris making accessibility easy for anyone. Diamond solitaire engagement rings are very popular and why not, nothing brightens up a marriage proposal than a glowing authentic diamond ring. Although most people often find it challenging to get the best diamond engagement rings, GD Paris has simplified everything for you. Please feel free to visit us at the heart of Paris and enjoy great offers in authentic diamond engagement rings today. Image on preview: Veruschka by Richard Avedon for Vogue US May 1972.